While sitting in the doctor's office waiting room this week, I put a puzzle together. I took a picture of it as evidence of my hard work and diligence. It wasn't very many minutes after I'd completed my masterpiece that someone came along and ripped it apart so they could put it back together. I was glad I had my picture. When I was little, I didn't put puzzles together the normal way. I would memorize the picture, the shapes of the pieces and where they belonged and then lay them out one at a time. "This is Snoopy's foot, and I know he's standing on the piano, which is about 1/3 of the way down in the middle." And that piece would go there .... in a big empty space. And so it would go with every piece for the entire puzzle. Do you ever feel like life is one big jigsaw puzzle and no one is letting you see the picture? Or maybe there's a piece or two missing and you can't see what the finished product is going to be? If so, join the crowd. If not, just wait. It's not easy to use all the pieces of life God has given you and put them in a recognizable order. We desperately want to see the box so we can know certain things: which corner the heartache goes in, how many flowers of joy and hope go across the bottom and how many edge pieces of age and health there will be. While He won't show us that picture until we get to heaven, this is the moment when faith becomes vitally important. In this prayer to close out the book of Hebrews, we're given the only piece of the puzzle that really matters - all the rest will fit in their places perfectly. The same God that was able to bring Jesus back to life is the God who has good works planned throughout your life to make you more pleasing to Him every day. When we're working on the corner of the puzzle He has planned for us today, He'll receive all the glory. And we won't have to worry about what the other three sides will look like because we're trusting in the Lord who created the puzzle Himself. 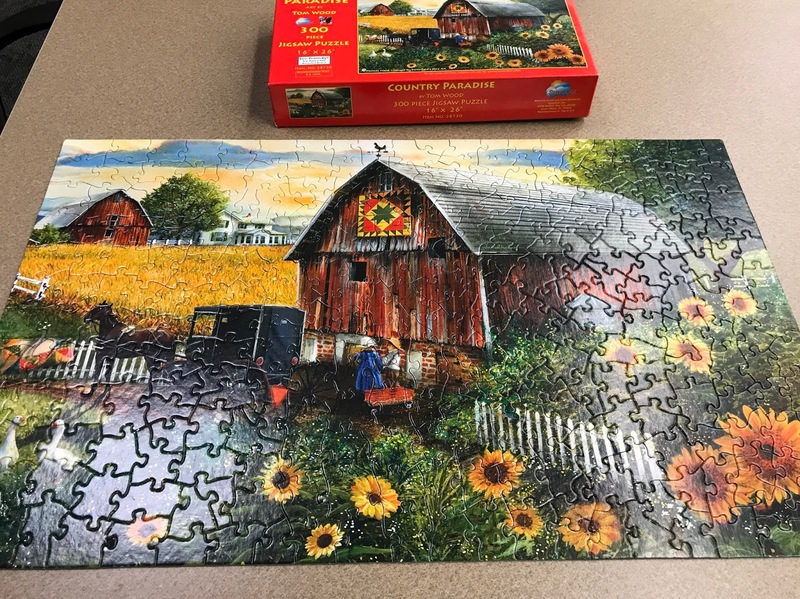 So whether you do the edges first or you put together all the sunflowers before you work on the barn, enjoy putting each piece of the puzzle in its proper place, knowing God is rejoicing as you arrange the pieces as He hands them to you. Then give Him the glory for each and every one.